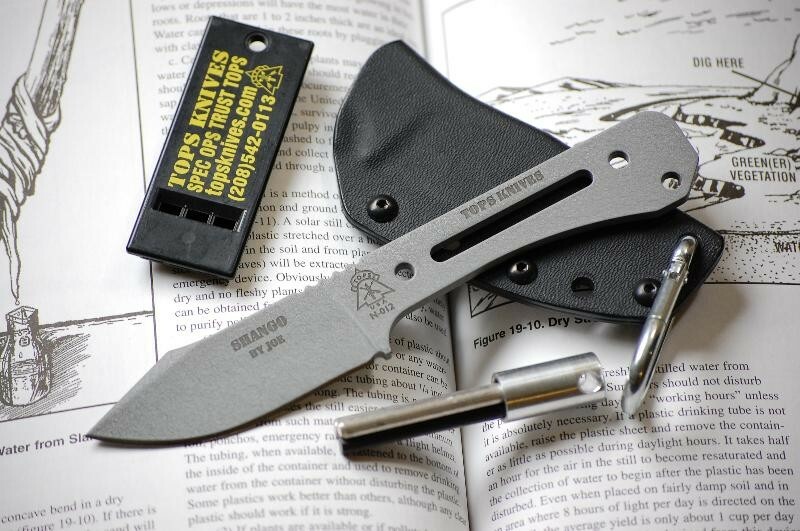 This light weight knife is a joy to carry, around your neck, in your pocket, or even inside your hat... GREAT AND EFFECTIVE LITTLE TOOL. Shango is one of the most powerful gods for many african natives. The "Shango" represents fire, thunder and lightning. In the Caribbean Yoruba religion, Shango lights up the darkness with lightning so followers can find their way. Shango also brings prosperity and good strategy to those deserving. 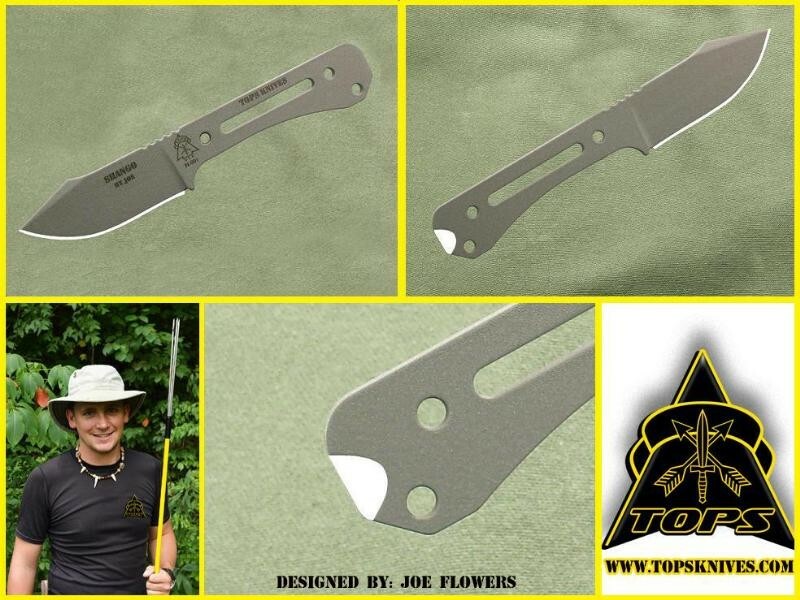 Hey, you never know what extra 'goodies' you may get with this very versatile, compact and well designed knife, by professional outdoors-man and survival instructor, Joe Flowers. This may be the perfect answer to those who like to have the ability to start their own fires, Joe has cleverly designed a small scraper at the back of the handle. 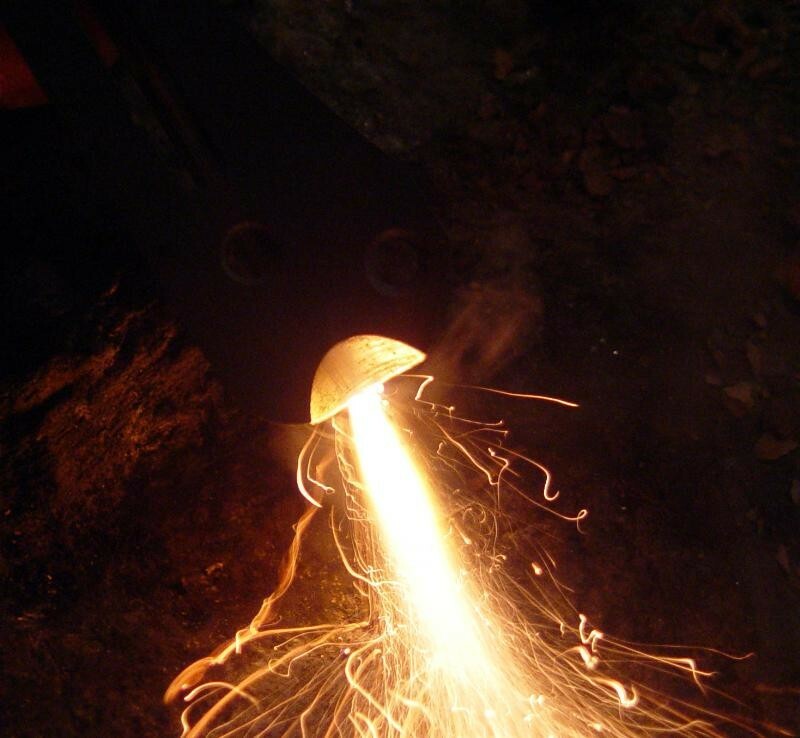 This enables the user to scrape a small amount of magnesium in a pile and then effectively scrape the ferro rod, with a shower of sparks. Bottom line, you don't have to use or abuse your blade's cutting edge. 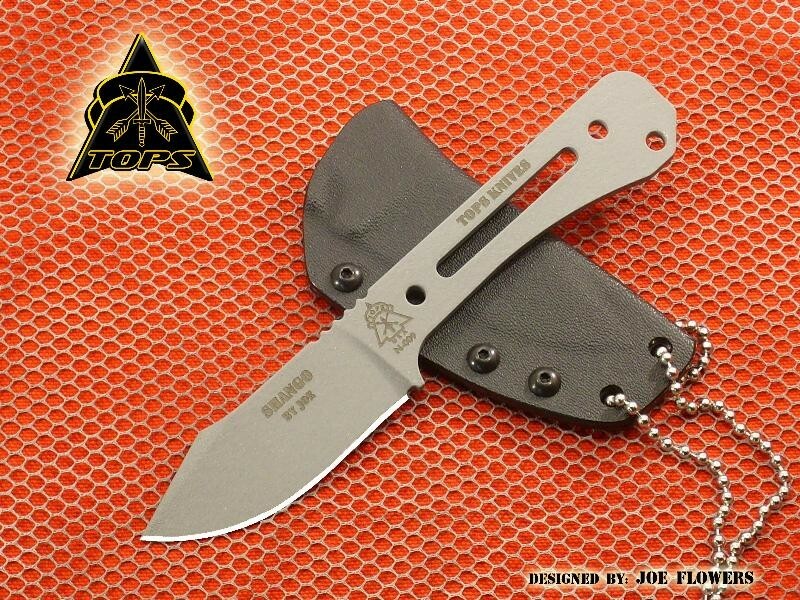 This light weight knife is a joy to carry, around your neck, in your pocket, or even inside your hat... Great and effective little tool. 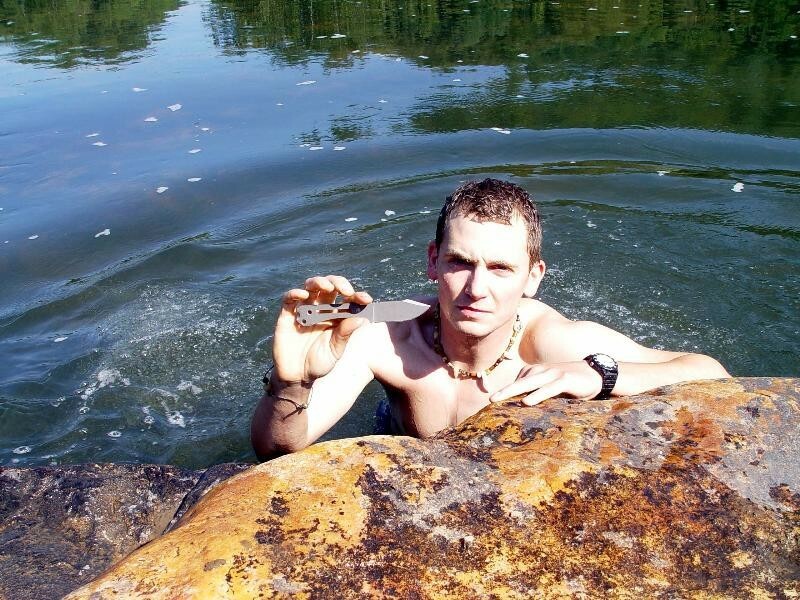 Check out Joe's survival skills company - Bushcraft Global. I really liked everything about this design, it's a great design. Again the option for a belt clip would be great. The handle was great, I liked the holes if you wanted to lash it to make a spear. The handle had a pronounced curve before the blade that gave you a good grip on the knife. At first I wished it had some handle piece on it like the badger pup but the more I used it, I realized it was unnecessary and that would make it hard to make a spear. It's a little longer than the Badger Pup which is nice and not any noticeable difference in weight. Nice and thick for toughness but still didn't add weight.